Reduce Customer On-boarding and Management costs with Odin Active Directory Integration. is a leading hosting and cloud services delivery system used by many thousands of cloud service providers worldwide. When on-boarding a new customer or managing an existing customer there is always the difficulty of maintaining the user profiles and identities of the customer beyond the borders of their business. 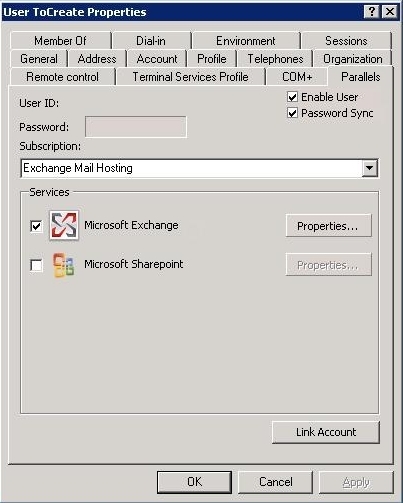 Beyond simple AD Syncronization, IDSYnc offers the advanced capabilities of a full Identity and Access Management (IAM) System using Active Directory as the focal point.. With Identity Syncronizer’s Odin Active Directory Connector you can provide full two-way directory integration with Odin Automation and simplify both provisioning and administration costs while improving your customer’s experience. With Identity Syncronizer™ — a Cloud Provider using Odin can automatically provision the client and all of their users. By utilizing IDSync™ support for Windows Security Groups, the provider can create a security group and automatically provision all of the user accounts just by adding them to that security group which has been pre-configured with settings and application features appropriate for that group. Password for each user are automatically syncronized from Active Directory to provide a seamless user experience. IDsync provides full syncronization of all Contacts and Distribution Lists created within the customer’s Active Directory. The customer can have locally defined users, contacts, and distribution lists and maintain them locally for on-premise applications while automatically updating their Cloud applications that are managed by Odin. Identity Syncronizer extends the standard Active Directory property pages to provide centralized management of a User’s credentials, information, and application configuration information in a single location. This is accomplished by inserting application specific tabs within the Active Directory management tools. With Identity Syncronizer the Service or Cloud provider extends their brand presence INSIDE the customer site by having a fully branded tab, complete with logo, for their product offerings directly within the customer’s Active Directory environment. In addition, Identity Syncronizer, provides full featured client-side self-service, auditing, and reporting features for each connected application. Using the self-service system the user may maintain their own basic contact and personal information. Additionally, users can reset their own password by authenticating with a set of pre-registered security questions. Further, all security and provisioning changes made to the user account, application privileges, security groups, and even passwords are logged for compliance and auditing purposes. With the addition of the Odin® connector and APS package, Identity Syncronizer extends these same features and services to end-users managed via its Operations Automation system. 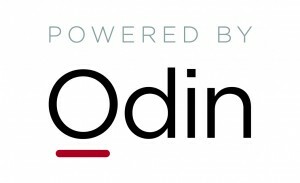 Contact us today about Odin integration and what it can do for your Cloud Practice. Interested in selling Identity Syncronizer or developing your own IDSync Connector? Ask about our reseller opportunities.